Prosecutors in the trial of accused Boston Marathon bomber Dzhokhar Tsarnaev tried to discredit their own witness Wednesday, when it became apparent her findings did not support the government’s charges that the suspect murdered Officer Sean Collier. 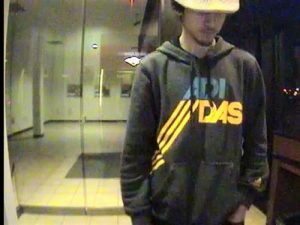 Jennifer Montgomery, a forensic DNA analyst from the Massachusetts State Police Crime Laboratory, told the court she found none of Collier’s blood on Tsarnaev’s sweatshirt, despite swabbing bloodstains from the abdomen, cuffs, sleeves, elbow region, and back of the garment. The government has been going all out to prove it was Tsarnaev who pulled the trigger on Collier – bringing in Stephen Silva, a former friend of the alleged bomber, who testified Tuesday that he supplied Tsarnaev with the gun that ended Collier’s life. Last week, an eyewitness identified Tsarnaev as the person he saw ‘leaning into Collier’s cruiser’ moments after the officer was shot. Collier’s blood was also found on gloves recovered from the floor of Tsarnaev’s car. However, CCTV footage taken shortly after the murder shows Tsarnaev’s clothing to be completely free of any bloodstaining or spatter – at odds with evidence photos of the inside of Collier’s car and the ‘bloodbath’ described by officers who initially responded to the scene. Defense attorneys maintain it was Tsarnaev’s brother, Tamerlan, who killed Officer Collier. Sensing a gaping hole in their story, prosecutor William Weinreb became hostile to Montgomery, suggesting her forensic examination of the sweatshirt may not have been as thorough as she had previously testified. Montgomery, an experienced investigator with over 10 years service, was forced to concede “they weren’t” – despite it being clear all pertinent areas of the sweatshirt had been subjected to testing. When prosecutors would rather flip on their own witness in pursuit of a conviction based on limited evidence, they strain all credulity. But will the jury have noticed?